It's no secret that vacations to Florida are often jam-packed with plans. So much to do! So much to see! However, the go-go-go excitement of massive theme parks tends to also come with big crowds, long lines and miles of walking... which then equals exhaustion, meltdowns and the need for a vacation after the vacation. Does that mean that we're all going to stop visiting? Of course not! However, it does mean that when you discover a destination that provides fun, excitement, laughter and memories for the entire family but that doesn't feel nearly as overwhelming, that you may just end up having a much more incredible time than you thought you would. 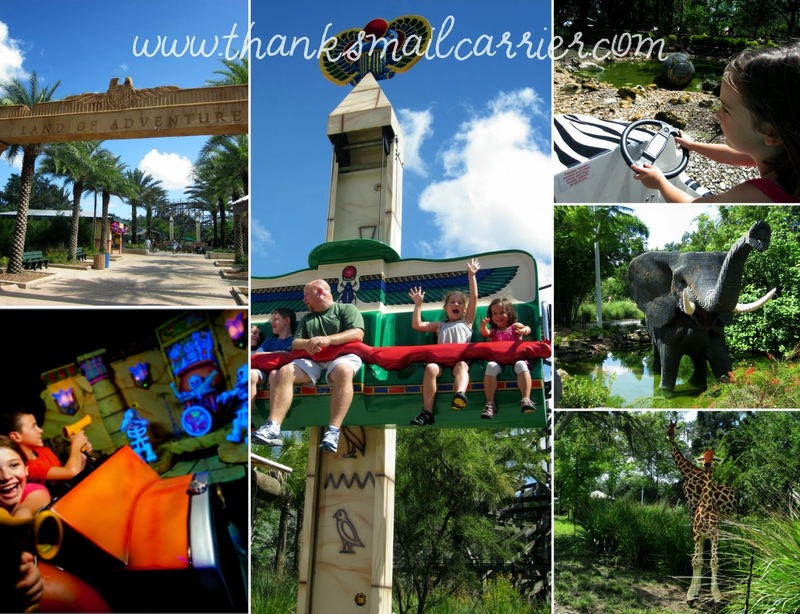 In short, there is just something amazingly special about LEGOLAND Florida. 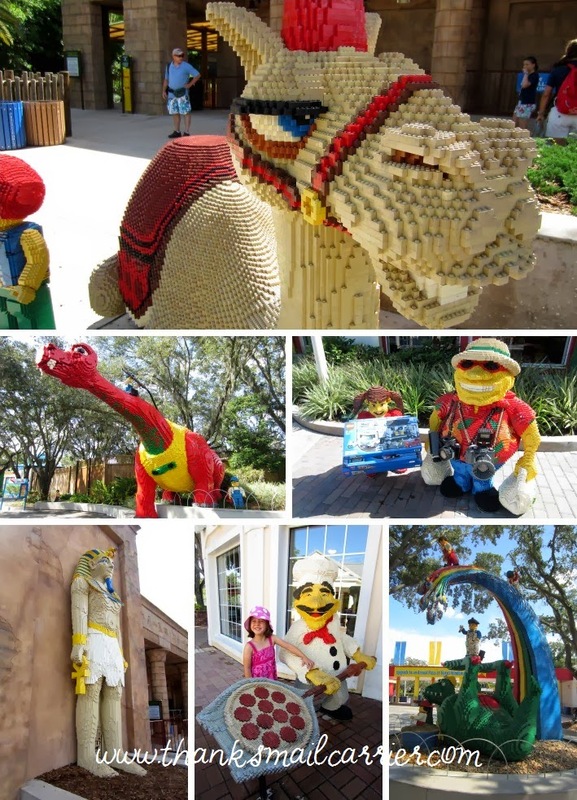 © LEGOLAND Florida. All rights reserved. 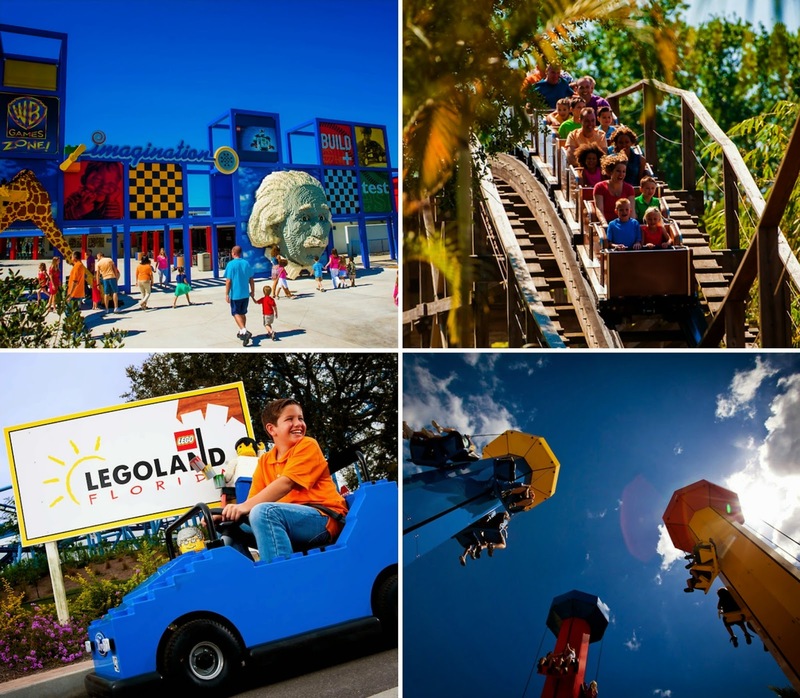 Located in Winter Haven, Florida (45 minutes from Orlando), LEGOLAND Florida is a 150-acre colorful, interactive family theme park specifically designed for families with children ages 2 to 12. 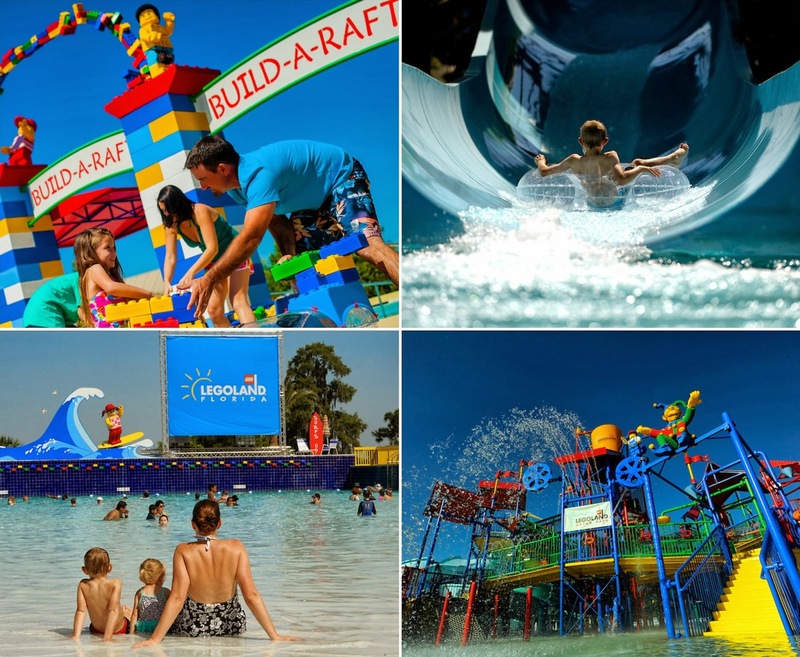 As the largest LEGOLAND Park in the world, it features more than 50 rides, shows, and attractions, restaurants, shopping, a breathtaking botanical garden and the all-new LEGOLAND Water Park. After browsing the park map and finding that LEGOLAND is easily split into nearly a dozen easy-to-navigate and highly-themed zones, the biggest question we had was where to begin once we arrived. There is no way to not be awed when you step into a world of all things LEGO — whether your child is a super fan of these colorful little bricks or not! Starting out in Fun Town, Big Sister E and Little Sister B were both amazed with The Grand Carousel and were clamoring for a ride even before we were near. I have to admit that I can't think of another time in my entire life when I have seen a double-decker carousel, let alone one so detailed, bright and fun! After a little more strolling around to see the sights in Fun Town, we headed into Miniland USA to see a variety of locations and attractions from across the country... in miniature LEGO recreations! I have always been impressed by the way that people can take a pile of LEGO bricks and turn them into... well, just about anything, so to see things like the Kennedy Space Center, the Golden Gate Bridge and the Empire State Building in such perfect replicas made me want to walk around and around Miniland USA to see what aspects I hadn't seen before! Plus, with a variety of interactive, moving parts, we had a great time watching boats sail, LEGO people march, doors open and close and much, much more. 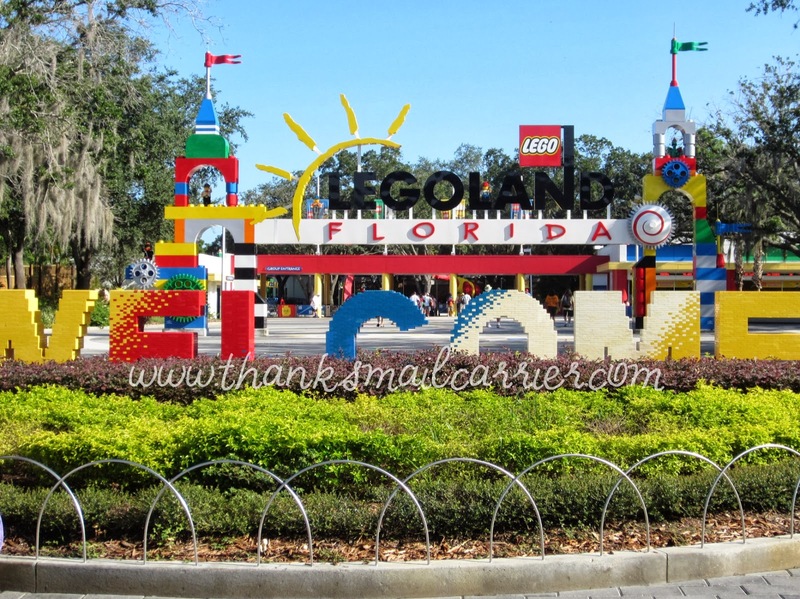 Moving on to the rest of the park, it was easy to see that LEGOLAND had spent a great deal of time ensuring that each of the areas were extremely family-friendly and that there was plenty to do for younger as well as older children. 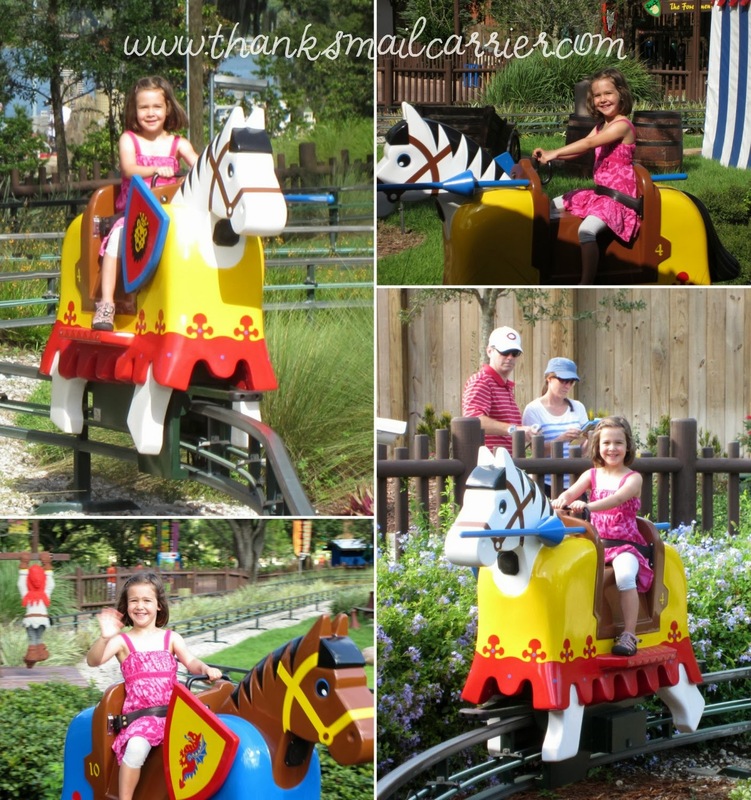 Both of the girls enjoyed all of the options in LEGO Kingdoms, as the Royal Joust, Merlin's Challenge, The Forestmen's Hideout and The Dragon each had their own fun features. ...while Big Sister E's adventurous spirit preferred the fun and excitement of The Dragon, an indoor/outdoor roller coaster connected to the enchanted LEGOLAND Castle. In Land of Adventure, both girls giggled and laughed through multiple rides on Beetle Bounce, while Big Sister E liked the action of shooting the "evil skeletons" in Lost Kingdom Adventure and Little Sister B took pride in her driving and sightseeing skills throughout Safari Trek. When it comes to driving, however, both girls absolutely loved, loved, LOVED heading into LEGO City and finding out that they were going to truly be able to navigate their own boats and LEGO cars. ...and then couldn't have been more excited about being completely in control of their LEGO cars. ...Big Sister E attended Ford Driving School for children ages 6-13. I've never seen anything like this attraction and wasn't surprised when Big Sister E was beaming from ear to ear upon completing it! After receiving a few "lessons" on the rules of the road, the kids were given a "real-life" driving experience on their track, complete with stop signs, traffic lights, two-way traffic and more. Talk about feeling like a grown-up — both girls even received their own drivers' licenses after showing what a good job they could do driving their (cute) vehicles! After all of the boating and driving excitement, we took a little rest by visiting the Imagination Zone and then watching two humorous live shows: Big Test Live Show and The Battle for Brickbeard's Bounty. In the Imagination Zone, the girls each spent some creative time building their own LEGO car and racing it down the digitally timed track, as well as constructing towers and testing them against various levels of "earthquake" to see if they would withstand the shaking. We followed up by laughing through Big Test Live Show, an interactive show that uses acrobatics, music and playful fun to teach fire safety. As the zany crew of Fun Town Fire Department attempted to conquer the "Big Test" to become official firefighters, my kids could only giggle and shriek when water sprayed out into the crowd. And who wouldn't get pumped up in Pirates' Cove as the swashbuckling pirates were defeated in their attempts to take over the land in this fun-filled, live action, water-stunt show? 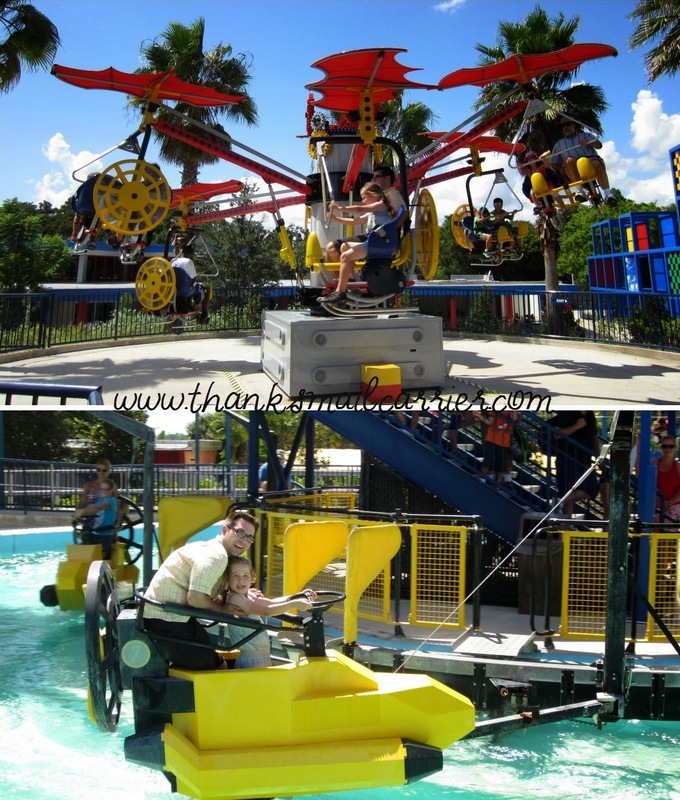 Before our visit to LEGOLAND Florida came to an end, we hopped on a few rides in LEGO Technic, where we had to pedal our way to the sky in the Technicycle and ride in and out of the waves on the AQUAZONE Wave Racers (similar to a water carousel). 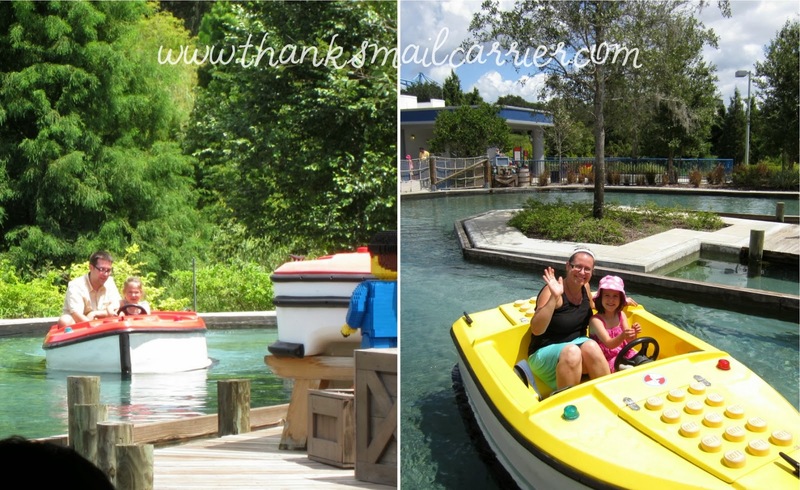 Due to our plans to not get wet during our visit to LEGOLAND Florida, we never made it over to the newest section of the park, World of Chima, or to the all-new LEGOLAND Water Park addition. I would have loved to have had an extra day to partake in the Water Park, as there are a large number of attractions and rides that sound like so much fun — the Build-A-Raft River where guests build their own LEGO raft and float down the 1,000-foot lazy river, the LEGO Wave Pool, the DUPLO Splash Safari, zero-depth wading pool... wet and wild fun for the whole family! While all of this makes it seem as though the day was spent rushing from one part of the park to another, in fact it was actually all rather calm. There were no lines (we walked right on to quite a few of the rides and the kids were able to ride things again and again without a problem), the park isn't massively monstrous that we were tied to a stroller, and every staff member was extremely gracious and friendly. Even the restrooms were spotlessly clean and smelled nice! 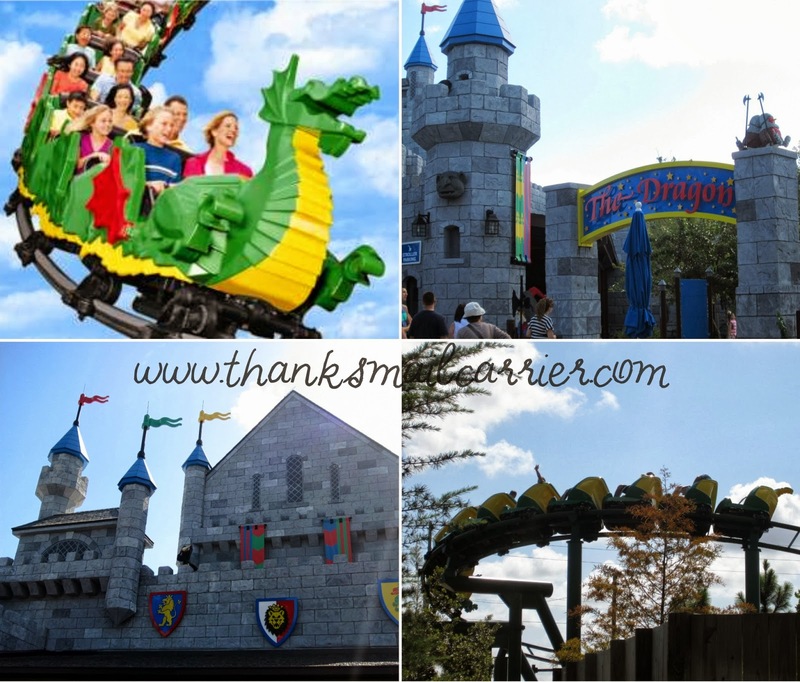 Although I'm not certain that the tween age would find LEGOLAND Florida as amusing as my kids (ages 6 and 4), our entire family had a fantastic time and the whole day was a welcome change of pace from much of the rest of Orlando. I'd love to visit again to see some of their holiday festivities and the variety of special events that they host throughout the year! 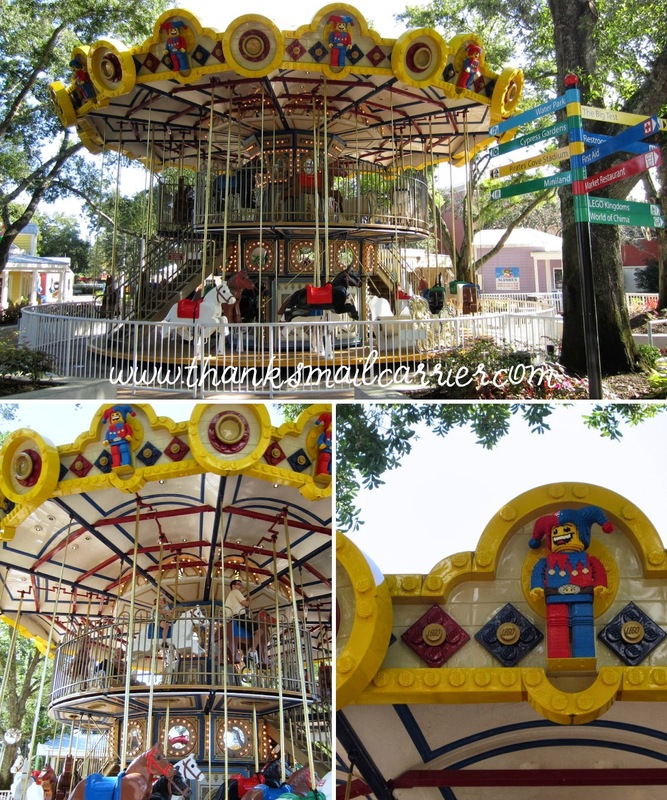 To find out much, much more about LEGOLAND Florida (there are a whole slew of things that I didn't even have room to mention!) 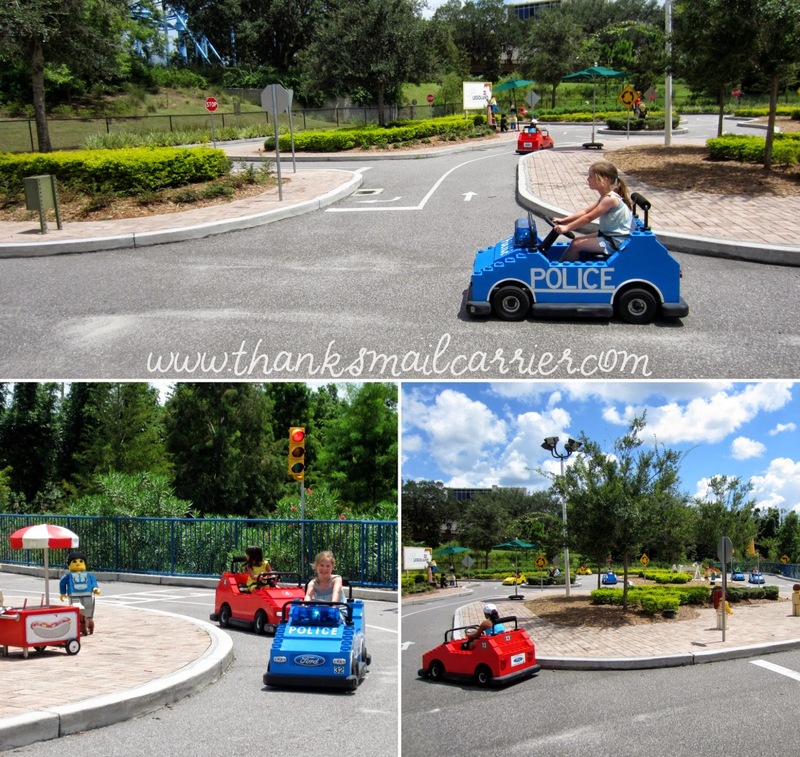 visit their website at Florida.Legoland.com and connect with them on Facebook, Twitter and Pinterest. 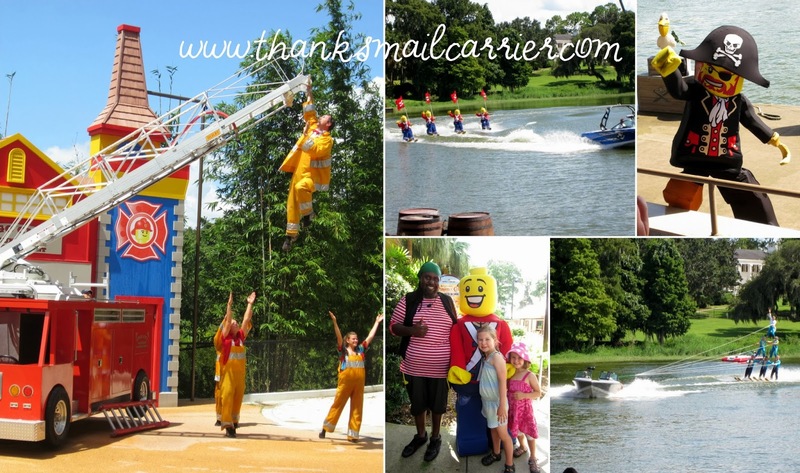 I was provided complimentary tickets for LEGOLAND Florida in order to help facilitate this review, but they in no way affected the amazing time that we had and my honest opinions in this post. My grandson loves Legos and plays with them for hours. He would love to be able to visit this park - I may take him for his birthday. I have been to the one in California and it was so much fun! Definitely need to go to the one in FL now that I'm living closer! ahh brings back the memories of my first time going to Legoland. (I went to the one in San Diego) I remember it was quite small when it started and the dragon ride was my favorite. It seemed like the one in Florida has some few similarities with the one in CA. The driving school looks like so much fun! Same with the Big Test Live show. How cool! Looks like you guys had great weather, too. Wonderfully written review! It looks like you had a lot of fun! I've never been to Legoland, but my brother would have loved to go when he was younger. I didn't know they had a park in Florida! I was only aware of the California one. Legoland is absolutely incredible! I am just in awe of the creativity and ingenuity ...with only Legos. Wow...simply amazing. We went there a few years back & loved it! 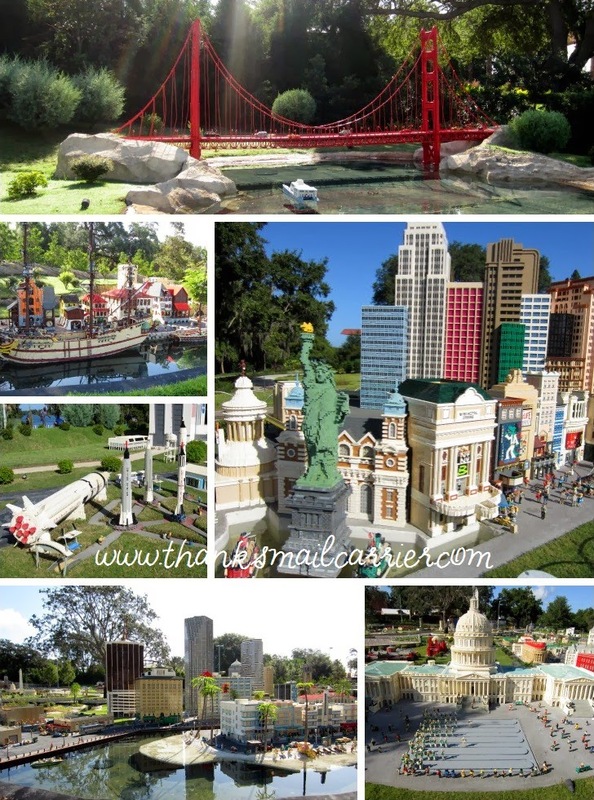 This brought back nice memories of visiting Legoland California with my grand children. Very fun place and perfect for little ones. What a coincidence. Here in Ct the GIANTLEGOEXPO is on its way to our capital city. Each time the opportunity arrives, I find a perfect Christmas gift for children LegoLand is amazing and hopefully at some point a trip there will happen. I had no idea about the many features of Orlando Resort. I have heard of The blue Man Group, however photos in this review are spectacular I didn't realize they never talk. The photo in this review are spectacular. My grandsons would love this place. I never realizes Legoland was anything like this. I just thought everything was made of Legos. Didn't realize they had so many rides and attractions. What fun Legoland must be. I hope someday I get to visit with my grandsons. That would fill my heart with joy and theirs. Wow. There is SO much to do there! That looks like so much fun. I cant wait until my kids are older so that we can go there! Thanks for sharing! I didn't know there was a Lego park like this, just Disney. Looks like lots of fun. Lego land looks like so much fun! We've been to Disney World once and my son was fascinated with the lego sculptures in downtown Disney. I can only imagine how crazy he would be about LegoLand! The car driving is great there! This is so cool! I definitely want to take my family on vacation there! I wish I had taken my son there when he was young. He was very obsessed with Legos then. I did not even know this place existed til now. What a wonderful place to take the kids for fun! Wow, this place looks like a lot of fun. Never been to Florida. It's pretty hot, I hear. OMG this looks like so much fun! I wanna go. Thank you for your review. I haven't had the chance to go to Legoland yet even though it's only about an hour and a half away from me but I hope to go soon. Looks like lots of fun. i have always wanted to go here. maybe one day i will. these pictures are making me jealous because it looks like so much fun for the family. Oh my gosh this looks amazing. I so want to go now. Thanks for sharing. Thank you for all of the pictures because I felt like I was there enjoying all of the activities. I want to take my grandchildren to Legoland within the next year or so. This place looks like so much fun. We just got back from Legoland and used some of your recommendations. We loved it! Thanks! Legoland looks like so much fun! The water park is incredible....great photos! I'm a kid at heart, would love to visit here. It looks like a fun place. 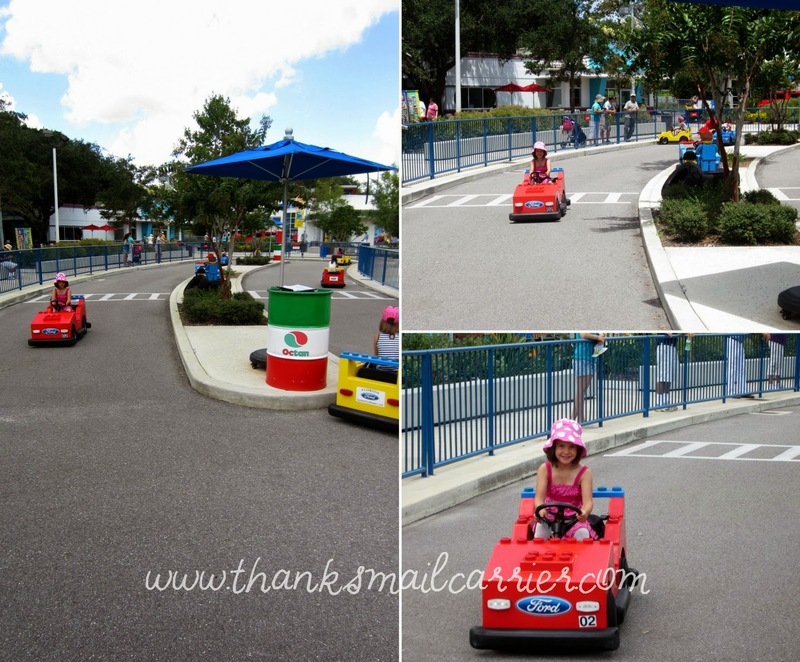 We have been to Disney many times and have never stopped in to Legoland. I will make it a destination next time! What an awesome family vacation! My little guy would LOVE that! We've not been to Legoland. The kids love everything Lego, they can't get enough! and it is a good thing, too, something that keeps them off the computer and having fun with other kids. We need to get to Legoland - maybe this upcoming year!